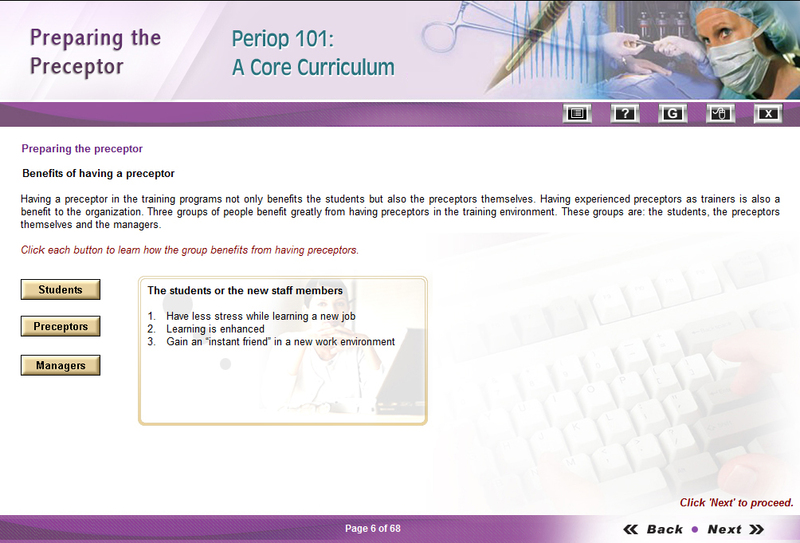 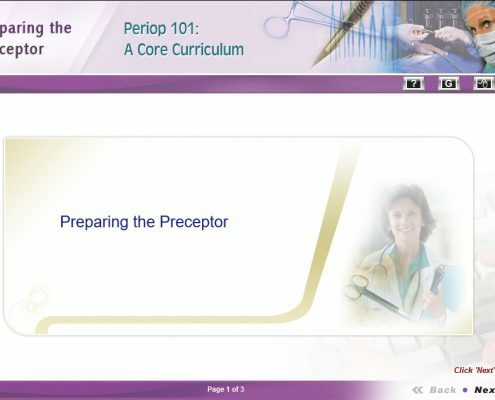 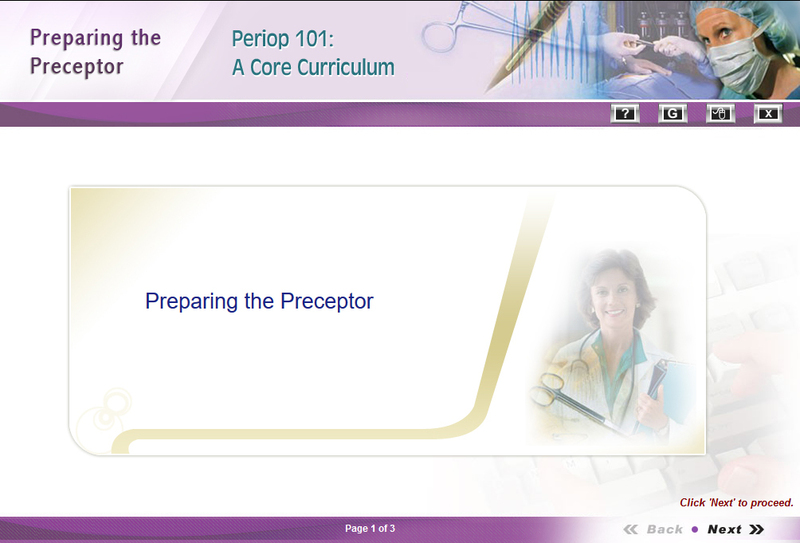 To keep up with the latest preoperative practices, nurses need to maintain their license and certification requirement. 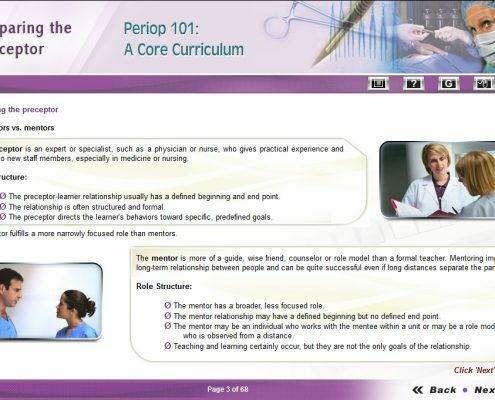 In order to assist the nurses with this, one of our clients, which is a non-profit membership association that represents the interests of nurses, approached Harbinger to create a nursing certification course under the Continuing Medical Education (CME) program. 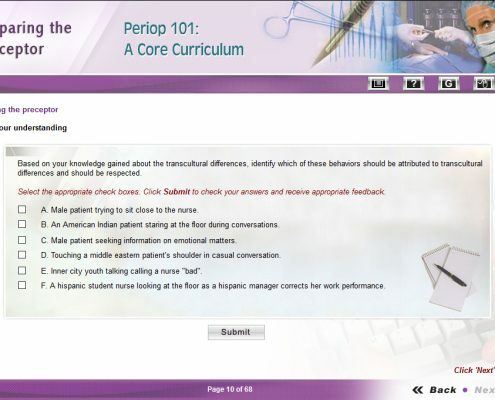 This nursing certification course is a basic, “click next” style of eLearning solution that aims to provide the knowledge of adult learning principles and communication skills to clinical nurses aspiring to become trainers. 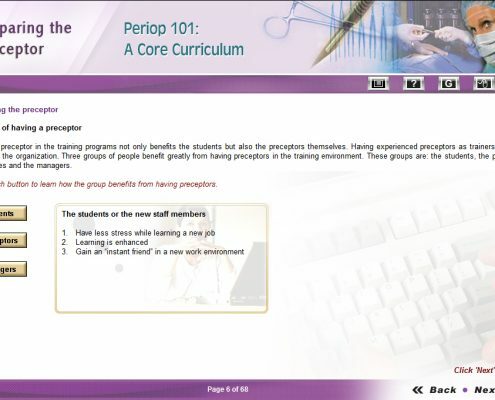 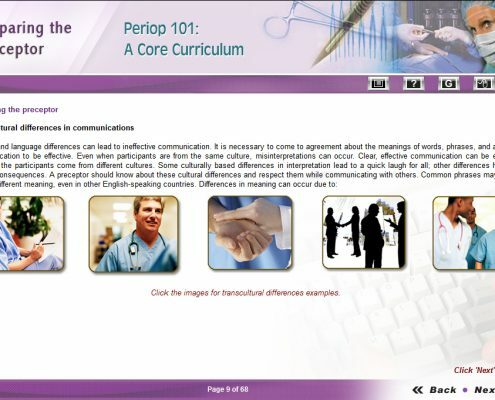 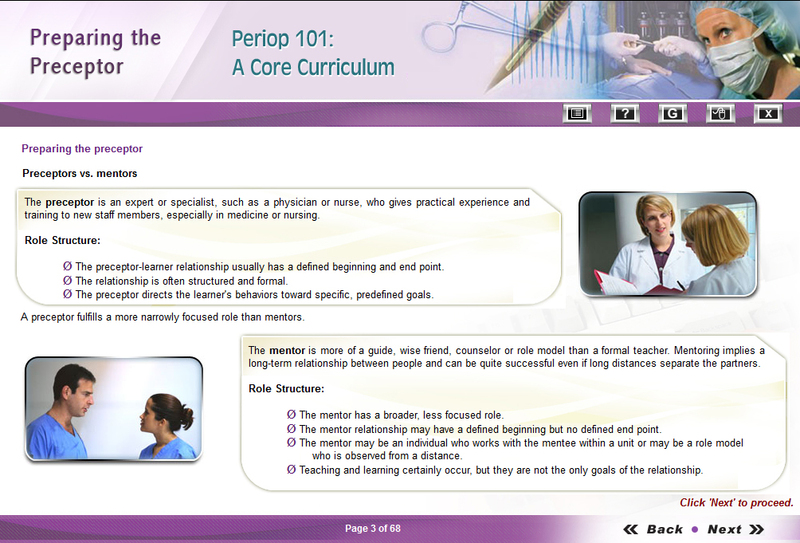 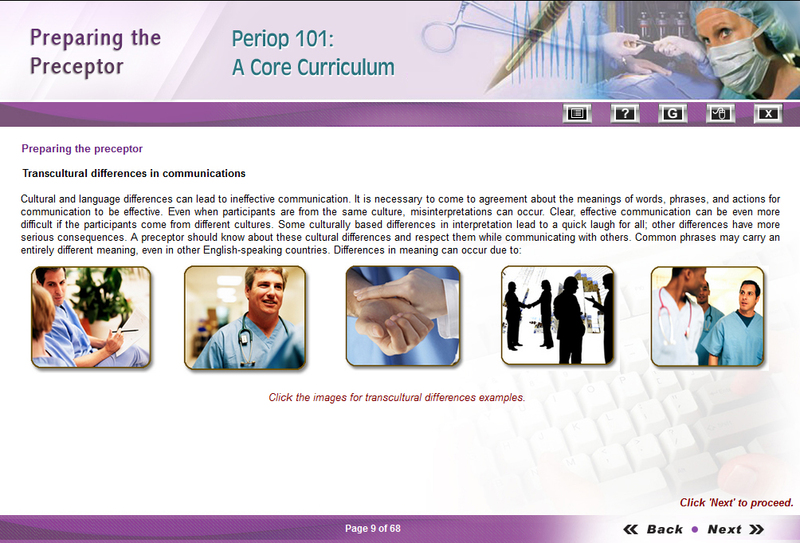 The course information helps the nurses understand the importance of providing successful learning experiences for learners. 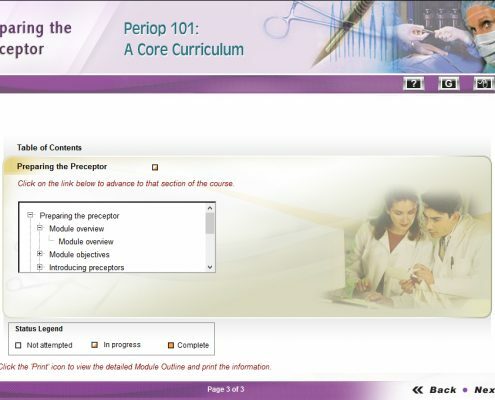 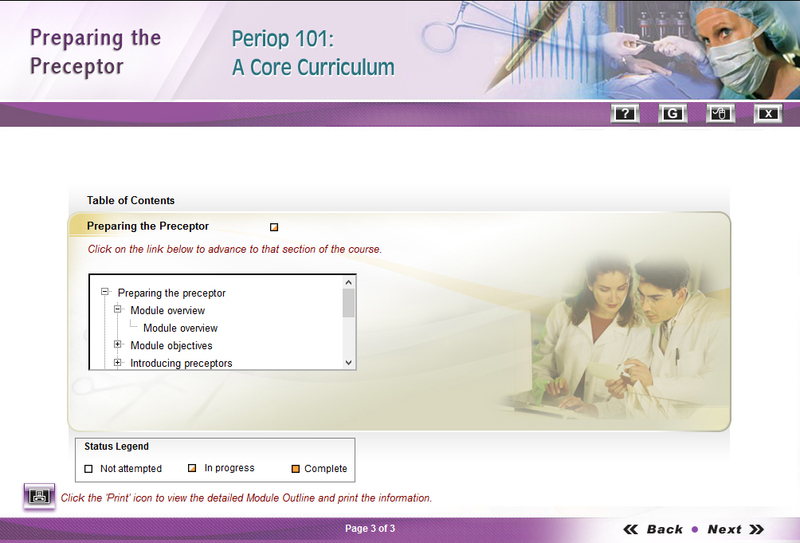 The modules range across topics like Surgical Environment, Wound Closure and Healing, Surgical Draping, Endoscopic Surgery to Professionalism, and Preparing the Preceptor.